Not sure how come the file is there, yet "cannot be created" when we try to echo into it... maybe it's not writable or disappears. Same problem installing http://cdimage.ubuntu.com/ubuntu-server/xenial/daily/20180730.2/xenial-server-amd64.iso on Virtualbox VM. Accepted systemd into xenial-proposed. The package will build now and be available at https://launchpad.net/ubuntu/+source/systemd/229-4ubuntu21.4 in a few hours, and then in the -proposed repository. now properly works and boots. 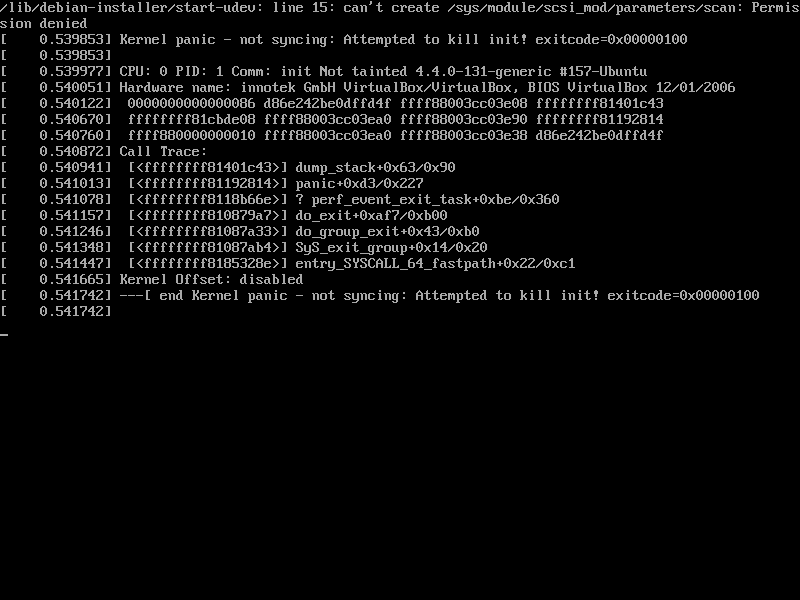 I can confirm that I don't see the above issue with systemd-237-3ubuntu10.10 from bionic-proposed.